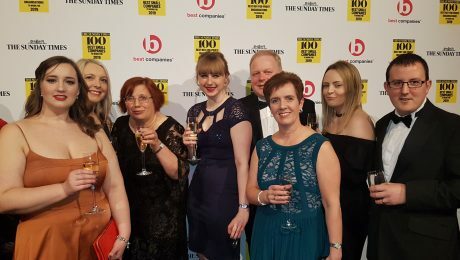 Hanley Economic Building Society has been awarded 3-star accreditation from Best Companies and has been identified as one of the UK’s best small companies to work for in 2019 by the Sunday Times. On Wednesday 20th February 2019, team members headed to a black tie dinner in London with fellow small companies and not-for-profits to collect the award and to toast the fantastic achievement. 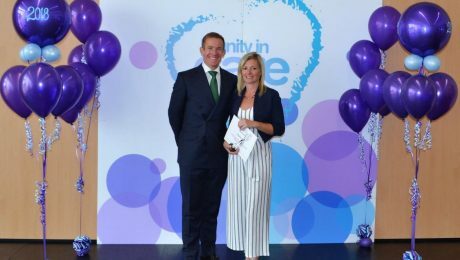 A coveted award nationally, the 3-star accreditation from Best Companies displays an organisations’ employees are truly engaged, “they’re happier, more productive and more invested in your organisation’s success” and shows an exceptional standard of workplace engagement. Consistently appearing in the Best Companies list, the Society clearly displays an ongoing commitment to colleagues. Mark Selby, CEO of Hanley Economic Society said; “As a CEO it’s deeply important to me to create a great place to work. People forget the numbers but remember what it’s like to work with you. We’ve tried to create an environment where people feel valued and supported by their colleagues, paid fairly and invested in”. The Society also encourages staff to give back to the community by offering up to 4 of their working days to volunteer for local charitable courses, supports their future by offering an enhanced pension scheme and everyone receives their birthday off. 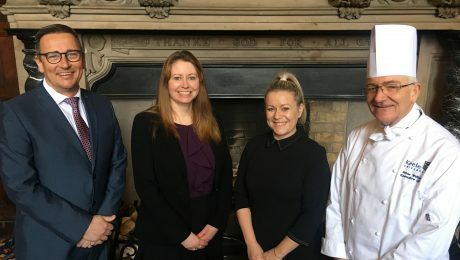 Hunter Heywood Ltd, Newcastle-under-Lyme’s newest recruitment agency, has joined Staffordshire Chambers of Commerce. 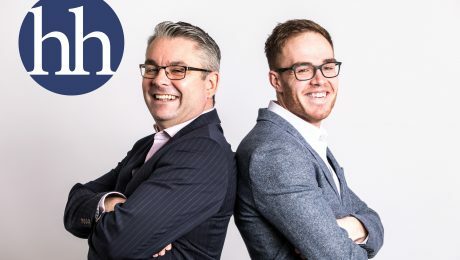 Hunter Heywood Ltd was established by Robbie Hunter and Ashley Heywood after securing investment from three successful entrepreneurs. With over 20 years’ experience at management level in recruitment, Robbie will lead the delivery team and deliver recruitment services to businesses of all sizes and sectors.